It's a month of Spider-Man here at SuperPhillip Central. We previously reviewed Ultimate Spider-Man, and now we have a BLTN review of Spider-Man: Shattered Dimensions. What are Better Late Than Never reviews? These are reviews for games that are too recent to be retro and too old to be regular reviews-- hence, Better Late Than Never. Are Four Spider-Men Better Than One? Back in fall of 2010, Beenox was approached to work on a brand-new Spider-Man game. Since then, they've been the main minds behind the web-slinger's video game dynasty. Their very first attempt was an incredibly admirable effort in Spider-Man: Shattered Dimensions, a game that takes four Spider-Men from alternate universes and puts them together in one all-new adventure. But are four Spider-Men really better than just one? The villain Mysterio lusts after a special stone tablet. The Amazing Spider-Man interrupts his crime spree, but in the middle of their battle, Spider-Man accidentally smashes the tablet into multiple pieces. No longer does Mysterio need to hide behind weak parlor tricks, as he now has real power because of the tablet. Madame Web contacts four different Spider-Men from four different alternate universes to find and reassemble the tablet pieces before Mysterio's power grows out of control and time and space is forever ruined. through using their piece of the tablet. 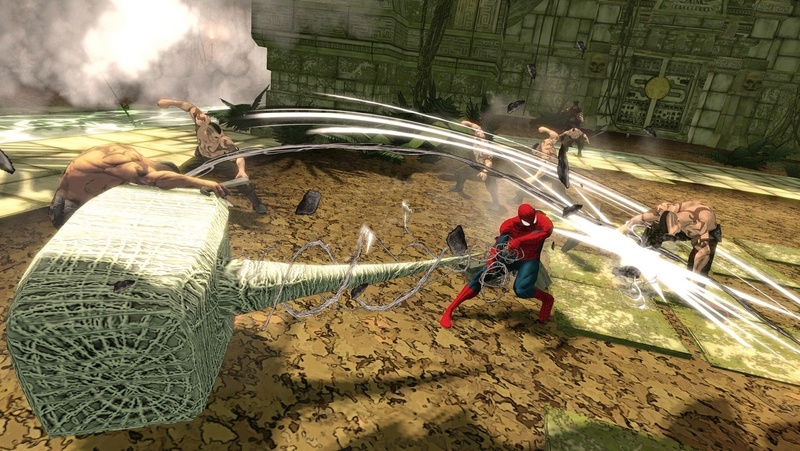 Spider-Man: Shattered Dimensions is made up of three acts, each containing four levels. Each act is made up of a level for each of the four Spider-Men. These four levels can be played in any order. 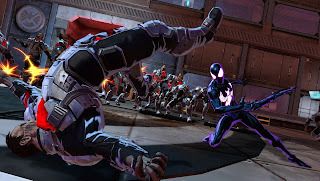 The Amazing Spider-Man has the arsenal of moves that you'd expect from him, while Ultimate Spider-Man has the power of the Venom suit to incapacitate enemies via Rage Mode. Spider-Man from the year 2099 has sections of free fall, where he needs to avoid debris and other obstacles has he makes his way to the ground. 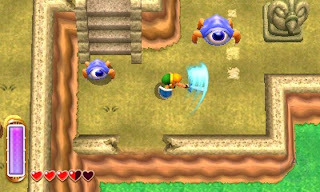 He also possesses an ability called Altered Vision which slows down time considerably to make avoiding attacks all the more easier. 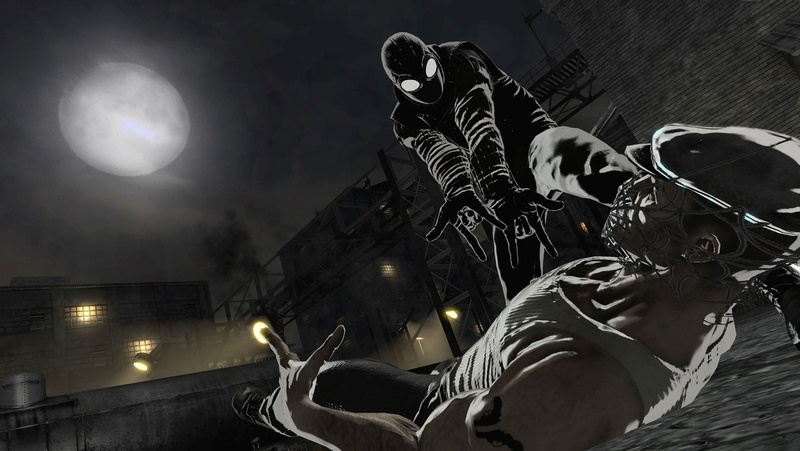 Finally, and probably my least favorite of the four level types, is Noir Spider-Man. His levels consist of pure stealth, minus the boss battles. If Noir Spidey gets caught by an enemy's sights, he must retreat to a safe area before he gets filled with more holes than a slice of Swiss cheese. It's also bizarre for someone who is supposed to be stealthy to clobber the unsuspecting foes he comes across, as well as make loud quips. It's a total opposite of what one would expect a stealth section of a game to be like. a foe he's louder than ever. 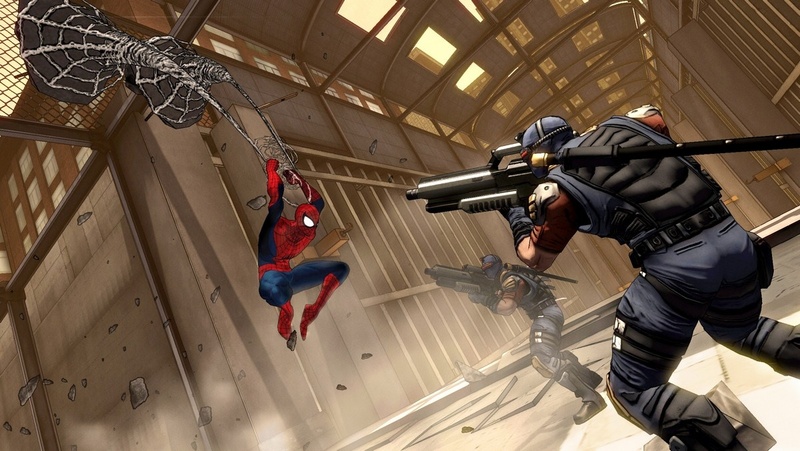 Rather than approach the game as an open world one like previous Spider-Man titles, Shattered Dimensions features linear levels with little in the way of exploration (save for the brilliant Ultimate Spider-Man Deadpool level). Sure, there are multiple spider tokens to collect, as well as golden spiders, but they are seldom that far off the beaten path. 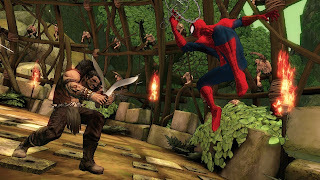 Levels generally have Spidey taking on a member of his rogues gallery at least twice throughout a given level. Such members include Hobgoblin, Kraven, Sandman, Vulture, Hammerhead and Scorpion, for starters. However, a lot of the villains are drastic departures design-wise from what many fans know. For instance, Spider-Man 2099's version of Doctor Octopus is actually a woman this time around. 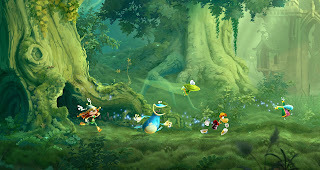 Each of the game's twelve full-length levels features fifteen challenges each to complete. 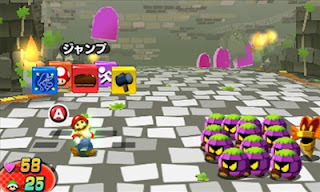 These are obviously optional and include things like taking down a certain number of a specific type of enemy, take out all enemies in a section within a set amount of time, or beat a boss using a specific tactic. Completing challenges nets the player with points that can be spent on combat upgrades, new moves, and increased health. One can even unlock a wide range of bonus costumes for the different Spider-Men, from the Amazing Bag Man to the Scarlet Spider costume. The main problem with the levels, however, is their length. Most levels will take an average player at least a half hour to finish. Of course, there are plenty of checkpoints for places to quit and start the game back up at, but when one tries to go for the highest achievable medal on each level, playing for a half-hour plus only to find out they failed at getting it, it is a huge annoyance. Perhaps if the levels were split up into sections and those were graded separately, it would be much more manageable. What is also something that could be more manageable is the camera, which isn't smart or sophisticated enough to stick with the action. This is especially obvious when Spider-Man tries to crawl from a wall to a ceiling. Here, the camera clearly has no idea what it needs to do, causing frustration for the player-- particularly in the stealth Noir stages. Shattered Dimensions features four Spider-Men, as stated, and each reality features its own art style. While Spider-Man 2099's version of Manhattan is bright, futuristic and flashy, Noir Spider-Man's is a dark, atmospheric and moody. The Amazing and Ultimate Spider-Man levels consist of jaw-dropping cel-shaded character models, which look absolutely incredible. Activision and Beenox got past Spider-Man voice actors from past webhead television series to voice each version of Spider-Man. Neil Patrick Harris of the recent (and awful) MTV series voices the Amazing Spider-Man, while from the 1990's series, there's Christopher Daniel Barnes voicing Noir Spidey. The voice work from all parties is really well done. "I think I'm getting into the swing of things." 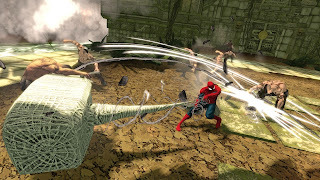 Spider-Man: Shattered Dimensions is not the perfect Spider-Man game, as many issues from past games, such as the rotten camera, rear their ugly head into the fold. These are enemies that not even four Spider-Men can defeat. That said, Shattered Dimensions offers a spectacular attempt at creating a unique Spider-Man game with fun and rewarding combat, lots of unique levels to explore, and four varying level types to keep things from growing too repetitive. 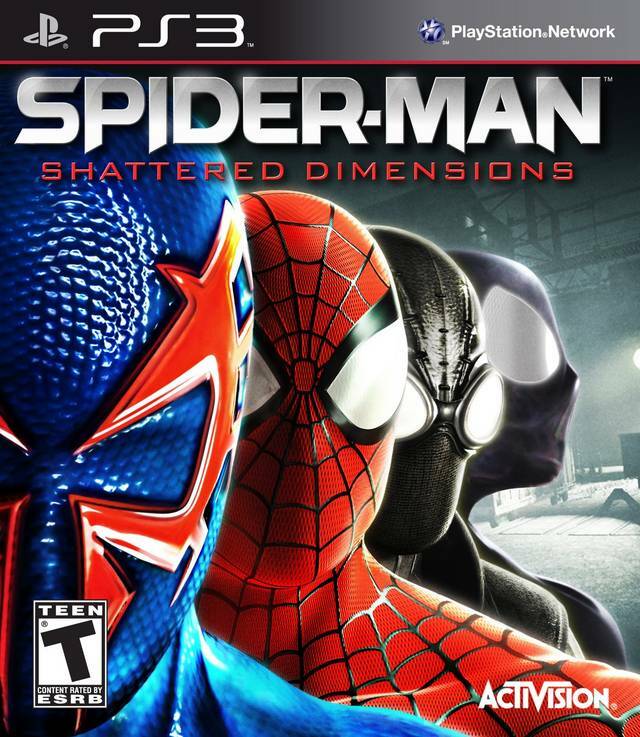 If you're looking for one of the better Spider-Man games to come out in a good while, look into Spider-Man: Shattered Dimensions. 'Nuff said. The work week is over for most, so let's celebrate with a BLTN review. What are Better Late Than Never reviews? These are reviews for games that are too recent to be retro and too old to be regular reviews-- hence, Better Late Than Never. Tonight's game is none other than LEGO City Undercover: The Chase Begins. I have made it no secret that LEGO City Undercover is my favorite Wii U game out of the small amount of titles Nintendo's new console has seen. It featured a humorous story with excellent and funny dialogue, an open world city with literally something to do at every street corner, and a level of charm that most games dream about having. 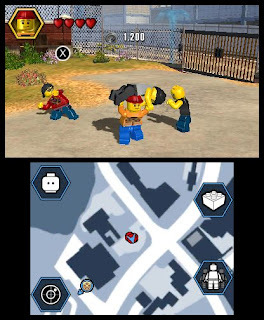 Taking what makes LEGO City Undercover on Wii U so fantastic and transplanting it onto weaker hardware on the Nintendo 3DS is no easy task, but that's what TT Fusion have attempted to do with LEGO City Undercover: The Chase Begins, a prequel to the Wii U game. Will you want to keep up with Chase McCain and the gang? 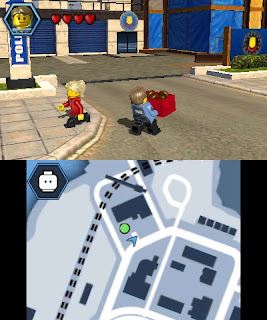 In LEGO City Undercover, Chase McCain was already an experienced and much heralded police officer. 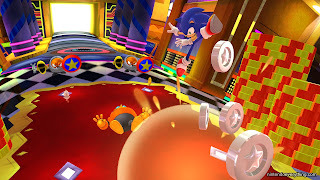 In The Chase Begins, Chase is just starting out fresh under the orders of Deputy Dunby (who would become chief of police in the Wii U game), made glaringly obvious by the first mission of the game requiring Chase to bring back some donuts to the station. The story of The Chase Begins follows Chase as he goes from city district to city district putting a halt to crime and piecing together an overarching master plan by the game's main villain. What's unfortunate about the game is that voiced cutscenes only occur as bookends to each series of missions. Every other piece of dialogue is presented via text, and unlike its voiced counterparts, the text is fairly vanilla and not too interesting most of the time. Every cop has got to start somewhere. 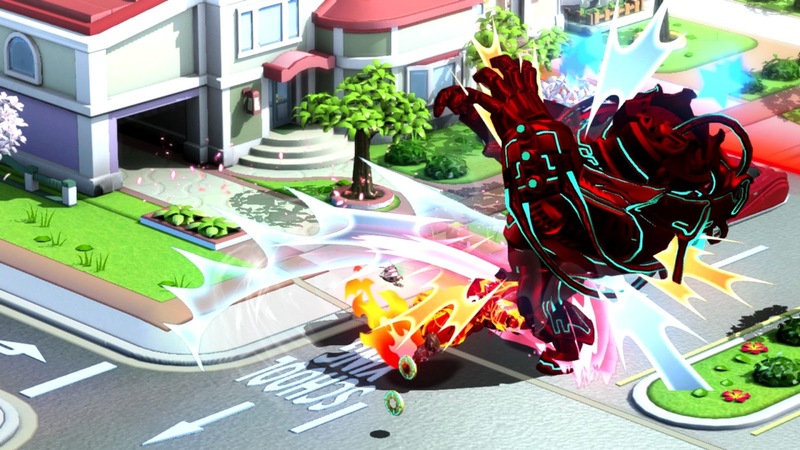 The Chase Begins when compared to the Wii U game has an incredibly brief campaign, and that is mostly due to the fact that the game has all of its missions take place within the overworld confines of LEGO City. 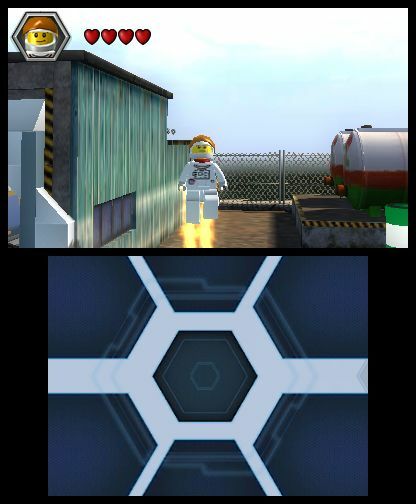 There are no traditional levels where you solve puzzles, fight bad guys and nab collectibles like typical LEGO games. 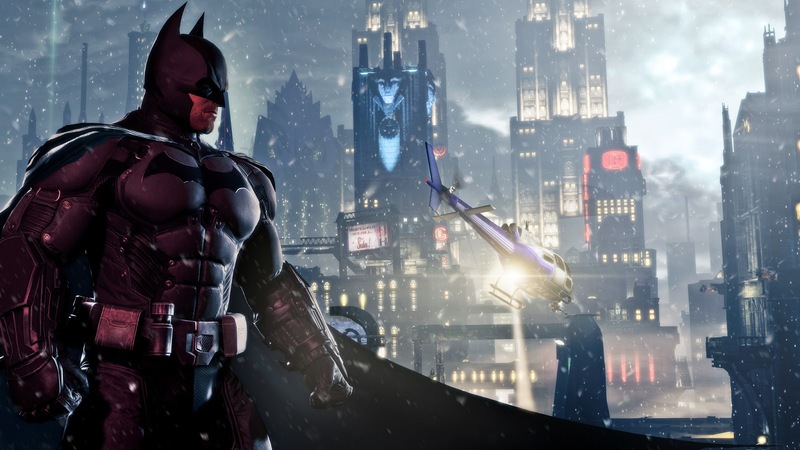 Instead, Chase delves into quick bite-sized missions like turning on generators, preventing a bomb from going off at a dam, rescuing citizens from a burning building, and making "chase" with a foe across city rooftops. Because levels have been excluded, the total play time of a typical go through the story will last about 6-8 hours for the average player. 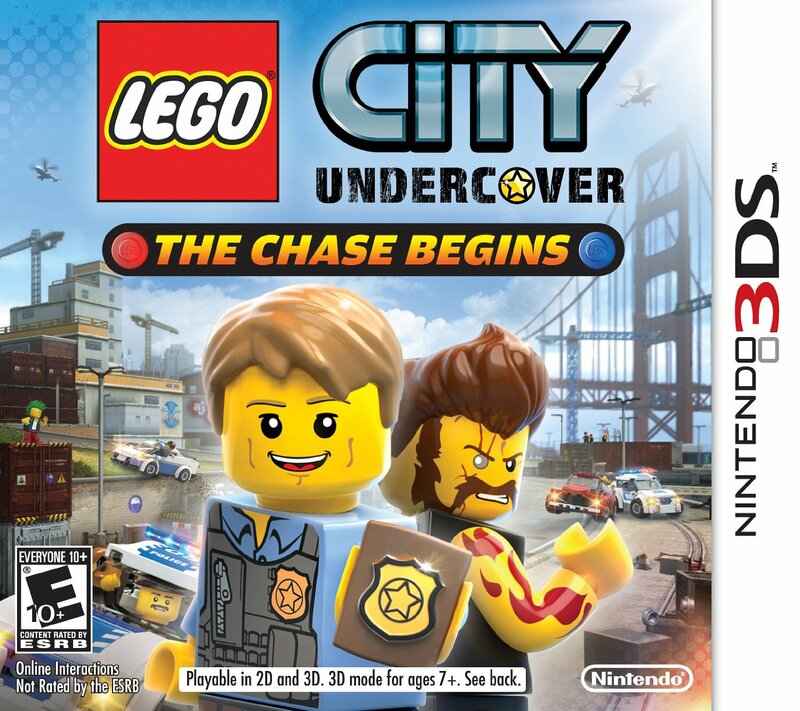 That is indeed short, but like LEGO City Undercover on Wii U, The Chase Begins offers plenty of side content and things to do. 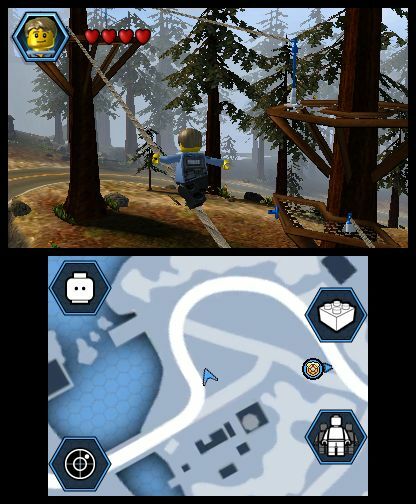 From using Super Bricks to build special objects strewn around the city to capturing aliens by scanning suspicious citizens, to collecting character and vehicle tokens to unlock new playable characters and rides, to rescuing cats from their high perching points, LEGO City Undercover: The Chase Begins has a lot to offer for the completionist gamer. 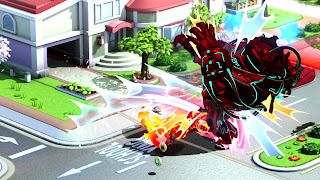 For me, I feverishly played through the game and once all of the costumes for Chase (a returning gameplay element from the Wii U game) were available to me, I was addicted to combing every inch of The Chase Begins's available districts for side tasks to complete and tokens to collect to beef up my completion percentage. As of sixteen hours in, I have but reached 67% of the game completed. Chase is a rock-it man! Chase McCain is quite the rookie. Just like costumes return from LEGO City Undercover on Wii U, such as the miner, burglar, astronaut and farmer, the various parkour-like moves within that game make a glorious return in The Chase Begins. Blue and white objects can be climbed on, having Chase climb up walls, vault over walls and other objects, vaulting off poles, as well as get launched across entire rooftops or city blocks. 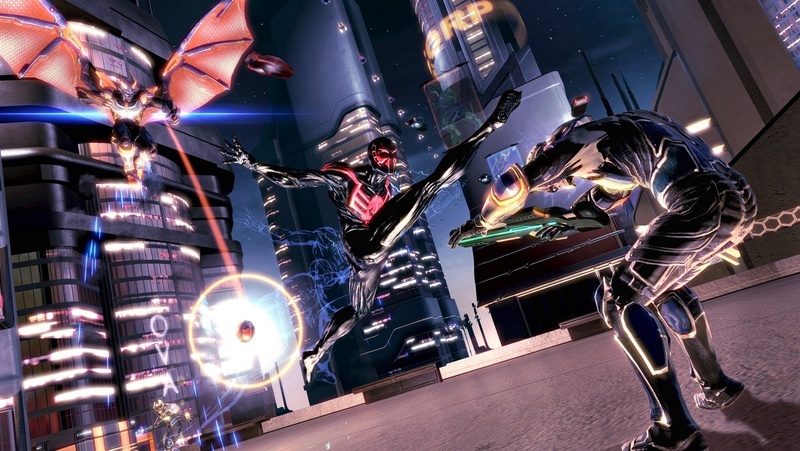 Despite the same parkour-like moves being available to Chase in both games, in The Chase Begins the precision of jumping is for the worse. In LEGO City Undercover, the jumping and parkour antics had much more room for forgiveness-- a larger margin for error, if you will. With The Chase Begins, I had to occasionally redo entire sections of scaling up buildings because of a missed jump or Chase simply not grabbing onto what he was supposed to. he moonlights as a tightrope walker. Another issue with the game concerns the combat. For most enemies, one can simply wait for a foe to wind up their attack and press the X button once the prompt shows up to counter it. For stronger blokes, throwing is the right call. It can be absolutely mind-numbing taking on large groups of foes, and many times they take too many hits. I was happy when I was near a ledge so I could a hit-heavy baddie and chuck them over to their doom. 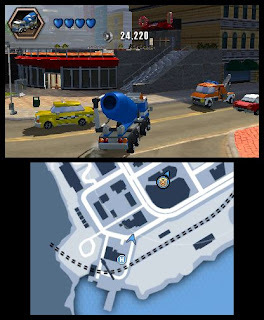 Bosses, on the other hand, have more complexity, particularly compared to what was seen in the original LEGO City Undercover and the fights of this 3DS game. Dare I say they were actually kind of fun. "I can bench press 270 lbs. LEGO City Undercover: The Chase Begins is without a doubt an ambitious game. However, it very well may be too ambitious for its own good. LEGO City in the game is being built up in most parts, and Chase cannot explore the majority of what was available in the Wii U game. Furthermore, each district or area of the city is separated by a relatively long loading screen, usually around a minute to a minute-and-a-half. Thankfully, no missions require going outside the current area Chase is in. Driving can feel a bit finicky. The Chase Begins also suffers from severe drops in frame-rate, struggling to hold it steady. The draw distance is not very good either, offering Nintendo 64 memories. 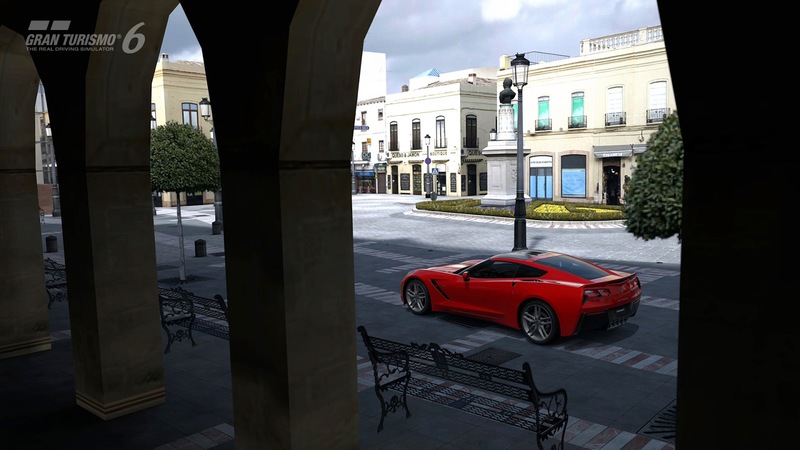 Cars, people, collectibles and objects fade in and out when you're a few yards away from them. This makes exploring for the aforementioned side missions more problematic than it should be. 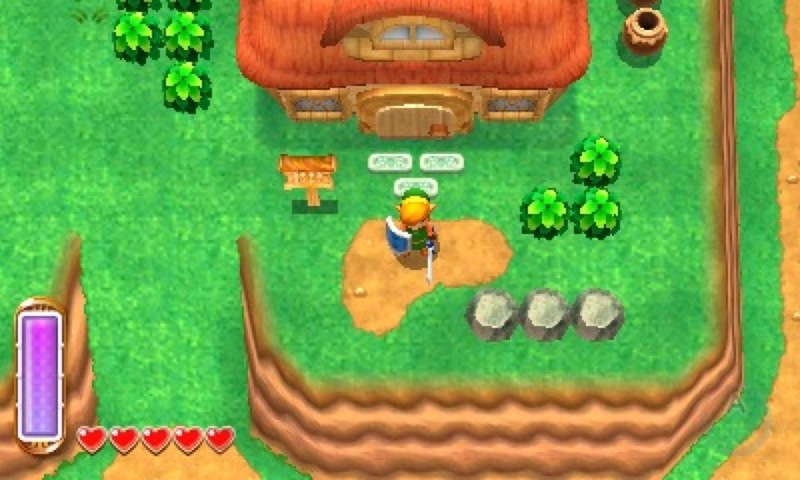 As the game is a Nintendo 3DS exclusive, you might be wondering how pronounced the 3D effect is. It actually looks pretty impressive, save for first-person segments where you have to aim a cannon. Finally, the majority of music is taken straight from the Wii U game, albeit not as clear and crisp. One thing that The Chase Begins does better than its big brother is having music play while Chase drives around the city. This was something definitely amiss when I played the Wii U original. 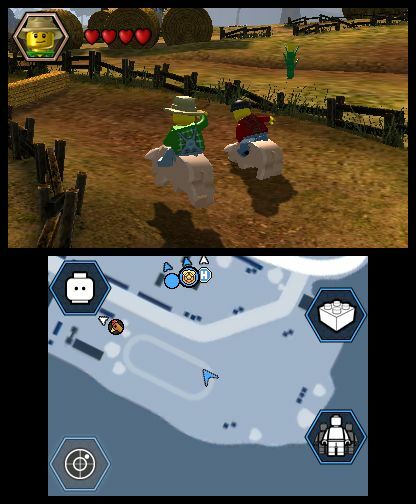 Despite all of its technical shortcomings such as the unwieldy frame-rate and loading times, I still found a lot of enjoyment in playing LEGO City Undercover: The Chase Begins. If you're like me and you couldn't get enough of the Wii U original (yes, even after 55 hours of play time I wanted more), The Chase Begins is a worthy extension of the common gameplay themes of it. Those who look for polished games should look elsewhere, as The Chase Begins is very much rough around the edges in plenty of places. 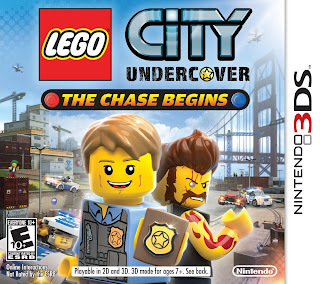 Having that said, LEGO City Undercover: The Chase Begins is one of the better handheld LEGO titles available on any system, and it is worth a look especially if you loved the Wii U game. It is just not recommended as a replacement for that title. We've reached the halfway point of 2013, and already we've been delighted with some fantastic titles. The rest of 2013 is absolutely packed with compelling games all competing for your hard earned dollars. We here at SuperPhillip Central have come up with a list of 18 games that have our gaming thumbs twitching in anticipation just thinking about playing them. After we're finished listing ours, why not mention which games interest you most? If you have been following our Top 100 Games of All Time list (and if you haven't, shame on you! 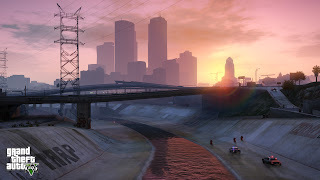 ), then you know how much we love Grand Theft Auto: San Andreas and find it our favorite of Rockstar Games' series. It's almost criminal how much we love it. 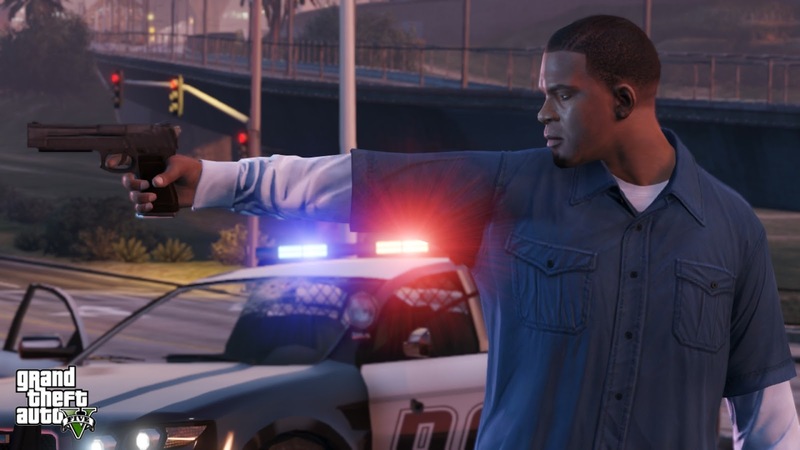 Seeing as Grand Theft Auto V is releasing in but a couple of months now and that it is taking place in an expanded Los Santos setting, we are beginning to feel the hype. That gameplay video Rockstar Games shared certainly helped with that regard. We hope that GTA V is more like San Andreas when it regards fun than GTA IV. We usually get the most new IPs at the start of a generation, and that seems to be holding true with generation eight. 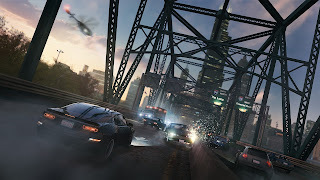 That said, Watch Dogs is a cross-gen game, releasing on both seventh generation and eighth generation platforms. 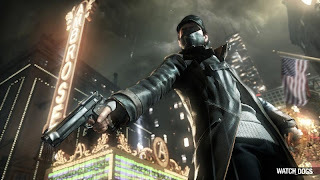 Combining stealth, parkour and third-person shooting, Watch Dogs is a new IP from Ubisoft that prominently features hacking objects like civilian phones in its gameplay. What has us most interested, which goes with the hacking component, is the online multiplayer, that has one player trying to hack the other via surveillance cameras. Watch Dogs is hitting consoles of all shapes and sizes this November. He is vengeance... He is the night... He is... BATMAN! 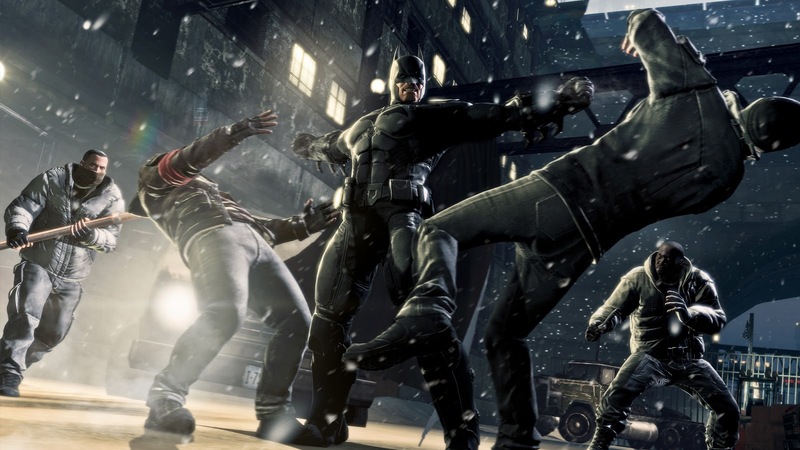 In Rocksteady's games, Arkham Asylum and Arkham City, we saw a professional and hardened Batman. In this prequel to those titles we get to see a Batman whose skills aren't at the height the current Dark Knight is known for. WB Games Montreal promises to deliver a compelling story where Batman will meet many of the foes who would go onto be part of his rogues gallery as well as how Batman went from early caped crusader to the Dark Knight who strikes fear into the heart of evildoers. After being down about Grand Theft Auto IV's neutered amount of pure fun, we graciously opened our arms to the Saints Row series. The series didn't come into its own until Saints Row 2. 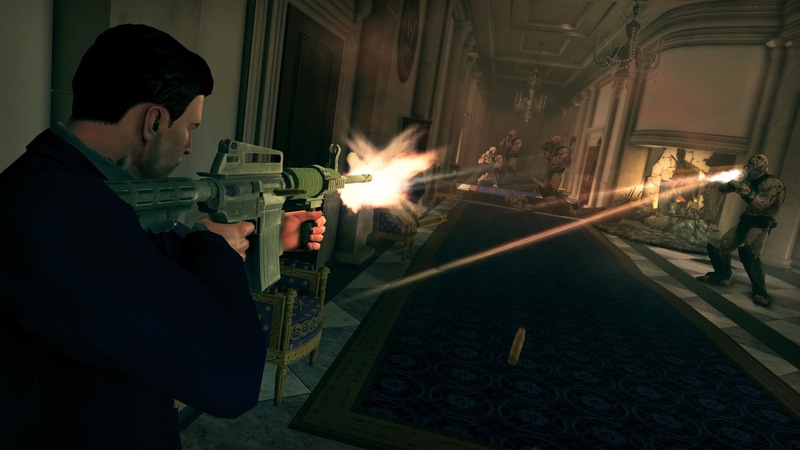 Then Saints Row: The Third came along and not only gave us plenty of laughs but plenty of exciting manic missions to do. 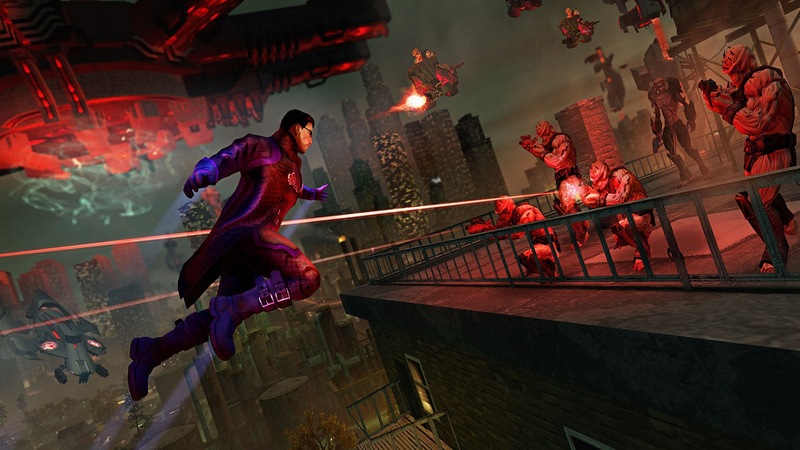 Saints Row IV might not have the same publisher (since THQ is no more), but everything that we love about the franchise seems to be returning just fine. This time the series is going even further into madness with the addition of aliens. Beam us up, Johnny Gat. We're ready to take 'em on. Last year we had Rayman Legends on our list of Most Anticipated Games for the Rest of 2012. 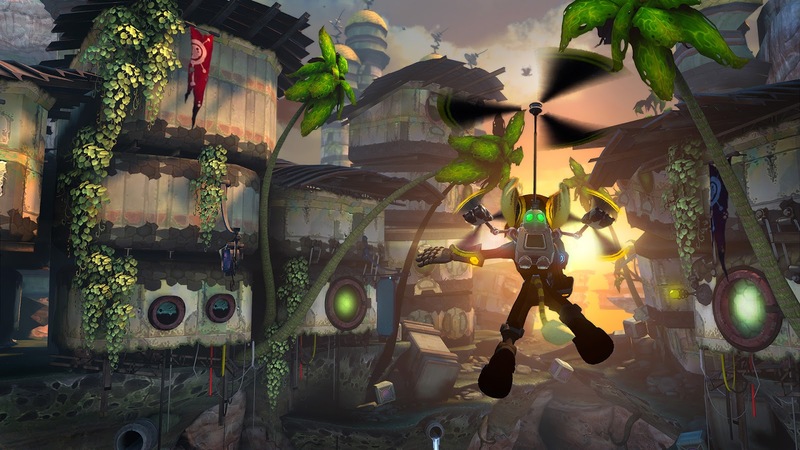 Then we had it on our Most Wanted Games of 2013 list, thinking the game would release in February. Lastly, we listed it when we showcased the games that would be releasing in February of this year. It seems that finally the game will be releasing this September, and the extra development time seems to have been worth it. 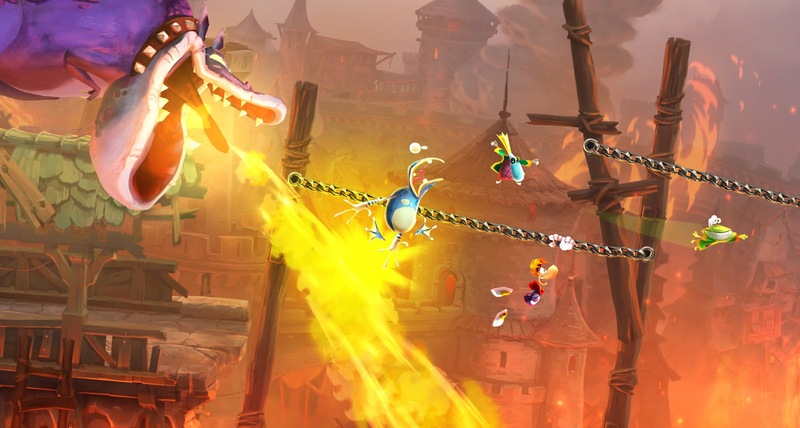 Rayman Legends will come with 40 levels from Rayman Origins in the art style of Legends. That's adding to the content already on the disc. What you are left with is one of our most anticipated platformers in quite some time, and now a much broader audience can play it-- even Vita owners! 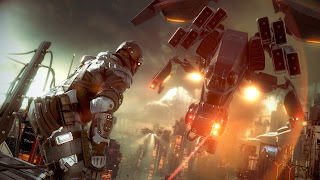 For the longest time the media had desired to call Killzone Sony's Halo-killer. Basically, any new first-person shooter from a big publisher is their Halo-killer or whatever nonsense to be used as an excuse to get gullible people to give their site traffic. 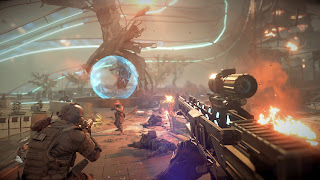 Regardless, even if Killzone did not scratch the itch of Halo players, it more than did its duty for PlayStation fans, which is all that really matters in the grand scheme of things. Sony is set to release two Killzone games this year, one for PS4 and one for the Vita, with the former being on this list, Killzone: Shadow Fall. The game is set thirty years after the third installment, and it is shaping up to be a great showcase of the PlayStation 4's power... oh, and it looks fun, too! 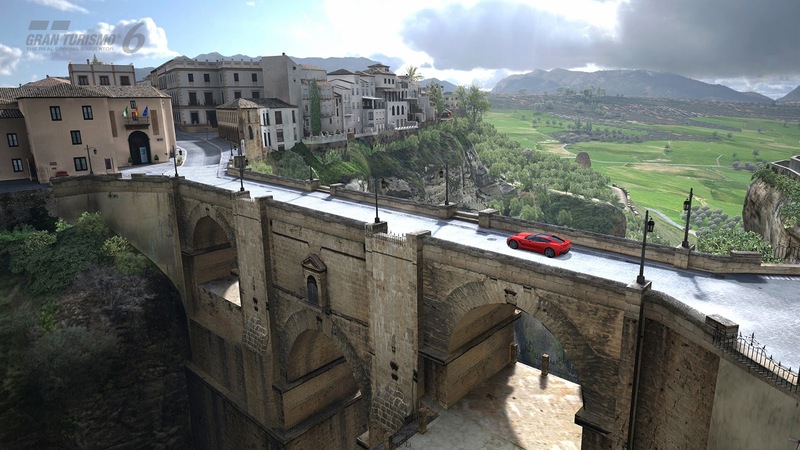 We skipped on Gran Turismo 5 because we were all raced out with the Forza franchise. Since we aren't too hyped for Forza 5, we've chosen Gran Turismo 6 on the PlayStation 3 (and possibly PS4) to entertain our racing urges this holiday season. There's over 1200 vehicles to select-- more than a player could possibly drive and over 30 different racing locations, most of which have multiple layouts to them. 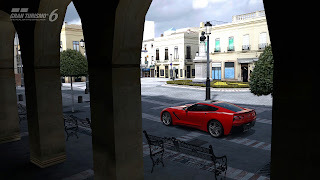 To say that Gran Turismo 6 isn't shaping up to be the ultimate driving simulator of generation seven is something that SuperPhillip Central's staff cannot get behind. 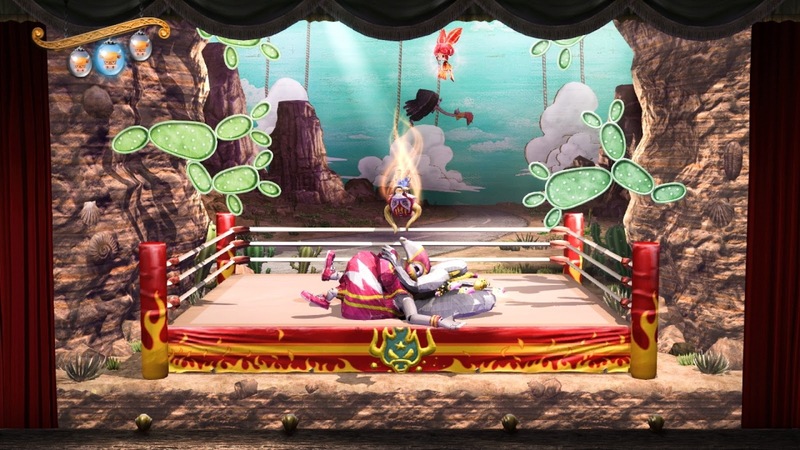 Of all the games that did not make this list (like yearly series we've grown tired of like Call of Duty and Assassin's Creed), it's odd to see something as quirky as Sony's Japan Studio's Puppeteer have a place on this list of our most anticipated games. What can you say about a game about a boy whose been turned into a puppet, has lost his head, and needs to come across different objects to be used as his head to progress through the game? 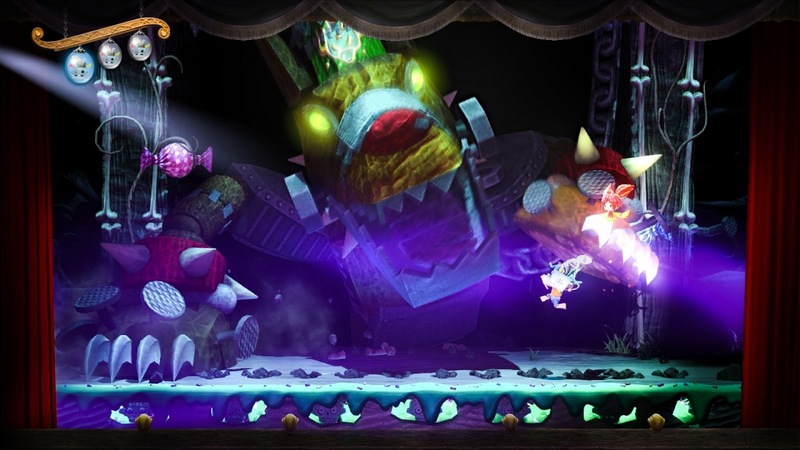 We call it innovative, and we just know that Puppeteer will be making the rounds on our Most Overlooked PlayStation 3 Games segment sometime in the near future. 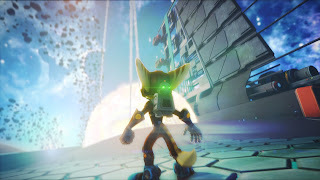 After failed experiments like All 4 One and Full Frontal Assault, Insomniac is finally returning the Ratchet & Clank series back to its roots with multiple planets, a full story centered on everyone's favorite talking lombax, the combination gunplay and platforming that have made the series so beloved, and the series's knack for making its players laugh. 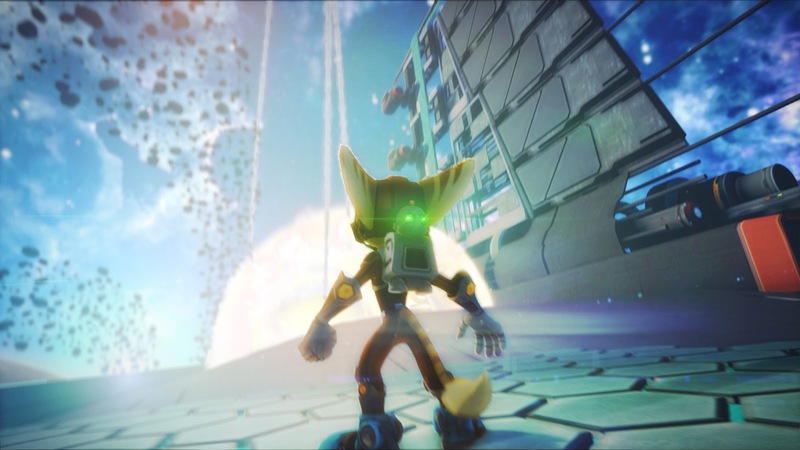 Ratchet & Clank: Into the Nexus was quite a surprise when it was announced, and it being released this holiday season (so quickly) is simply put, awesome. 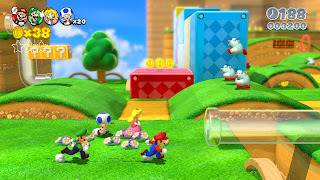 Many would have preferred to see a 3D Mario in the form of a Super Mario Galaxy 3. Instead, what we have is something that we at SuperPhillip Central are excited about regardless, a sequel to our favorite Nintendo 3DS game, Super Mario 3D Land. It's Super Mario 3D World, introducing for the first time in a 3D Mario, full multiplayer for up to four friends or family members. That has us sold, if the cat suit didn't do so already. 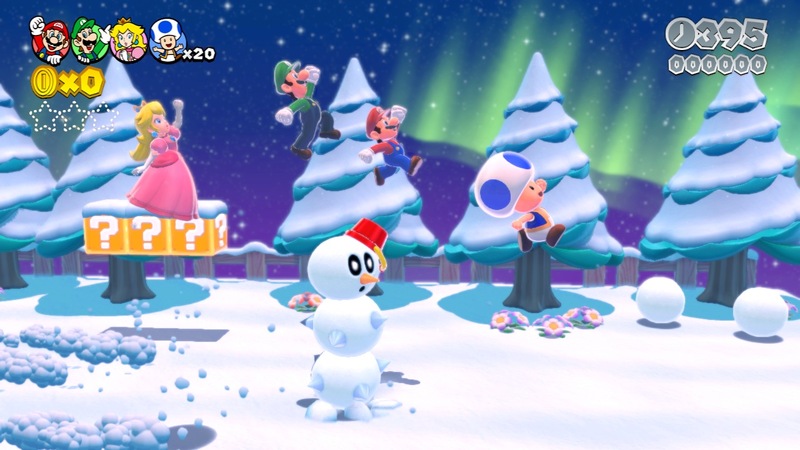 While Super Mario 3D World is not the most technologically impressive game on the Wii U, the fun that players will almost undoubtedly have more than makes up for it. A loud faction of Nintendo fans were severely disappointed that Retro Studios new project was the next in the Donkey Kong Country series, despite Donkey Kong Country Returns being one of the best platformers of the past generation. Tropical Freeze is set to release this November, and it seems that Retro Studios is aiming to seriously trump their last project. 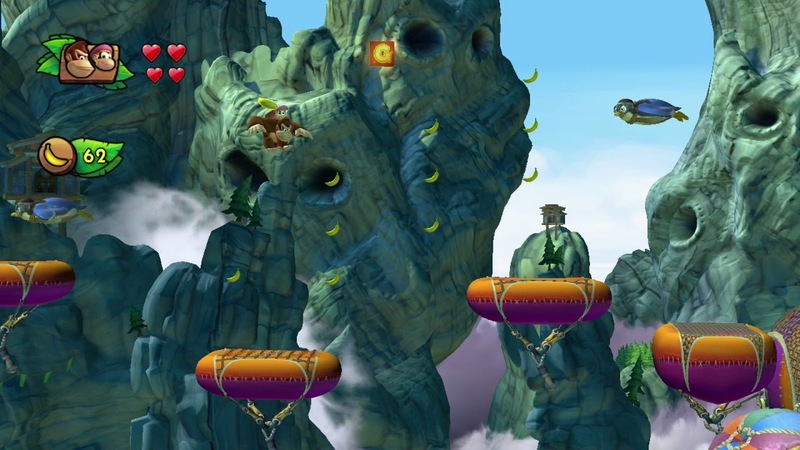 The series regains David Wise as its composer, swimming levels return, and so does Dixie Kong. Donkey Kong Country: Tropical Freeze is set to surpass its predecessor. Oh, did we mention there's no shaking the controller this time around? No one on our small little staff has played the GameCube classic, The Legend of Zelda: The Wind Waker, since its release. That was a decade ago, so to say we're excited to have another reason to play through it would be an understatement. 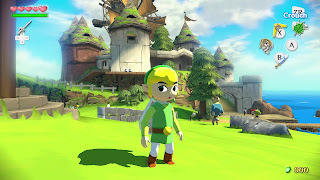 The glorious toon-shaded art style of The Wind Waker looks absolutely sensational in HD, and we look forward to seeing the improvements, such as more Miiverse integration and Wii U GamePad functionality firsthand. 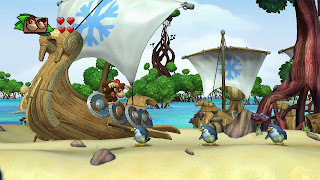 We're anxiously awaiting the day we can once again return to the Great Sea, sail its deadly waters and save the kingdom from Ganondorf once more. This might be an anomaly for the ages. We're excited more for a 3D Sonic game than we are for a 3D Mario game. Is this backwards day? Have we ruined the time-space continuum somehow? Hold up. We have to check if hell froze over. 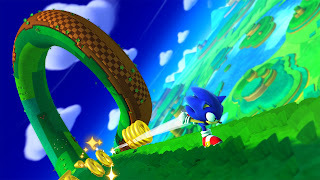 In all seriousness, Sonic Lost World looks to continue Sonic's impressive 3D streak, following Sonic Colors (Wii) and Sonic Generations (PS3, 360, PC). The game has been likened to Super Mario Galaxy. All we know is that we're seriously impressed and dying to play the final version of Sonic Lost World when it releases in the second half of October. Shigeru Miyamoto and his team have made us wait almost a decade for a sequel to Pikmin 2, but now it has released in Japan with open arms. 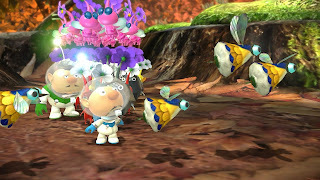 Soon, the West will get to experience what the hubbub is all about when Pikmin 3 releases on this side of the world. Pikmin 3 involves micro-managing three different captains and their collection of Pikmin to solve environmental puzzles and take down hostile creatures in order to obtain enough fruit for their home planet to continue surviving. Not only does that planet need to survive, but so do players as they switch between captains to explore the dangerous world. 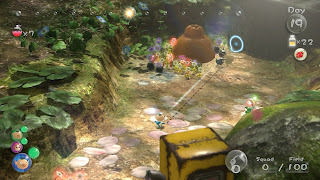 Containing the traditional story mode, a mission mode, multiplayer and online leaderboards, Pikmin 3 is the start of the gaming goodness this year for Wii U owners. 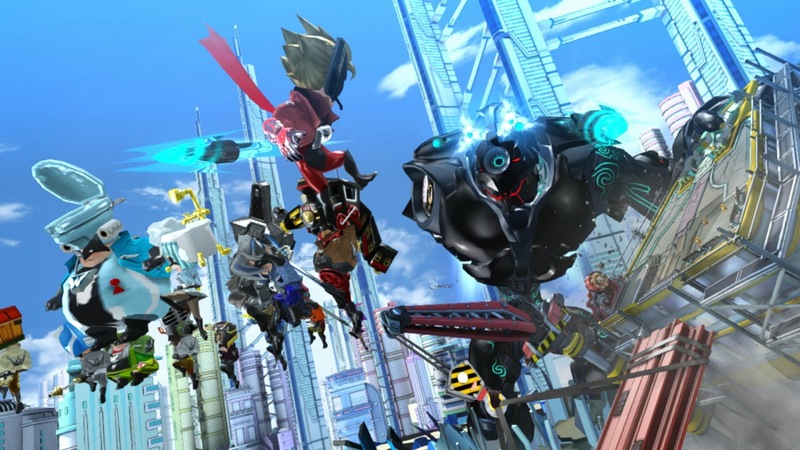 In what looks to be the pinnacle of Platinum Games' development career, The Wonderful 101 is all thanks to the combined efforts of Platinum and Nintendo. Using a team of 100 superheroes to take down robotic forces both small and behemoth-sized, The Wonderful 101 features excellent use of the Wii U GamePad, high octane action and a beautiful colored world to explore. We posted the intro video to the game earlier this morning. We encourage you to watch it, and see other gameplay videos after you're done with perusing this list. The last time we were this excited for a Pokemon generation was back in the Game Boy Color days when Pokemon Gold and Pokemon Silver were set to release. Obviously that was a long time ago, but finally it seems the series is evolving much like a Pikachu into a Raichu, except without needing a Thunder Stone to do so. 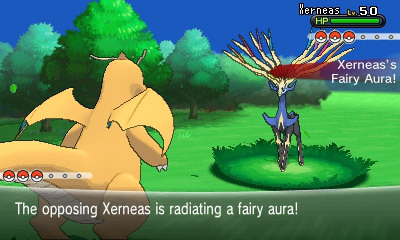 Pokemon X and Y are releasing worldwide for the first time on October 12, a day that will live in infamy for Pokemaniacs across the globe. With 3D graphics and battles, two new Pokemon types and a myriad of new Pokemon to collect, Pokemon X and Y will no doubt beef up the Nintendo 3DS's already incredible lineup for 2013. As part of the Year of Luigi, Luigi gets a starring role within his dreams in Mario & Luigi: Dream Team. The game has released in Europe recently, and the feedback for the game has been quite pleasant with one of the only knocks toward the game being lengthy tutorials. As long as the dialogue during them entertains like the series is known to do, we'll be satisfied. 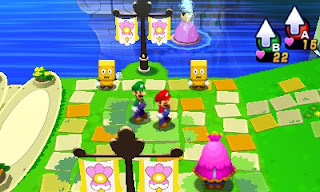 Mario & Luigi: Dream Team is a game that no only beefed up its visuals but also its length-- having players chime in with over 30 hours of play time. 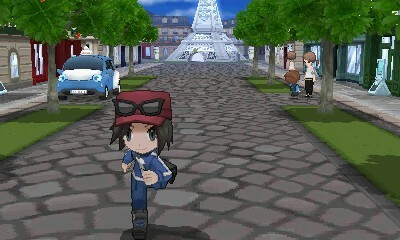 We'll be surrendering part of our summer to Dream Team when it releases in North America on August 11. The Legend of Zelda: A Link to the Past is one of SuperPhillip Central's favorite Zelda games ever. 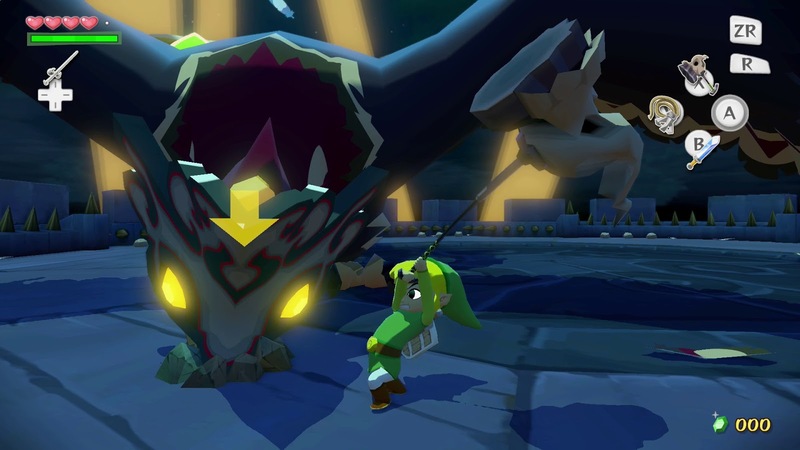 The idea that we are getting a full blown game set within its version of Hyrule makes us giddy like schoolboys. The added gameplay element of Link turning into a wall drawing to access new portions of Hyrule as well as dungeons is something that opens up new exploration possibilities for Link's old stomping grounds. 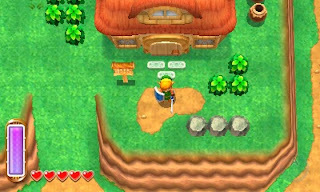 Add this to the impressive use of 3D, and you have a title that we hope will satisfy our hunger for a new top-down Zelda.